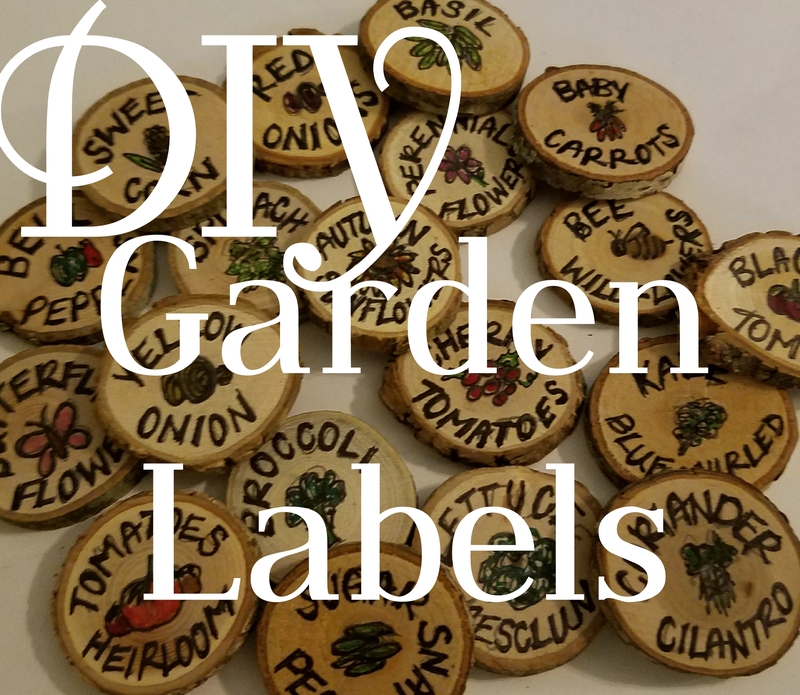 I’ve talked about our garden before – well no truly successful garden would be complete without labels right?!? Of course I had to make that it’s own special project because I get these ideas in my head…. 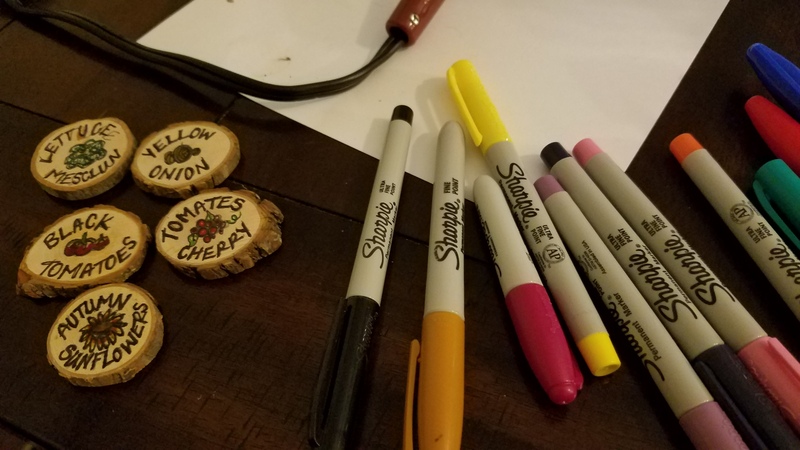 I had a TON of left over wood slices from our wedding that I used as a creative guest book, each guest signed a piece and I eventually made wall hangings for our new home with them…. Getting them actually up on the wall is the hard part but that’s a task for another day! Anywho, I decided this would be the perfect way to use a few of the slices I had left floating around! I started by penciling in the names and adding a small drawing on each one. I was probably a bit overly ambitious when I decided I was going to use my wood burner for all of these. 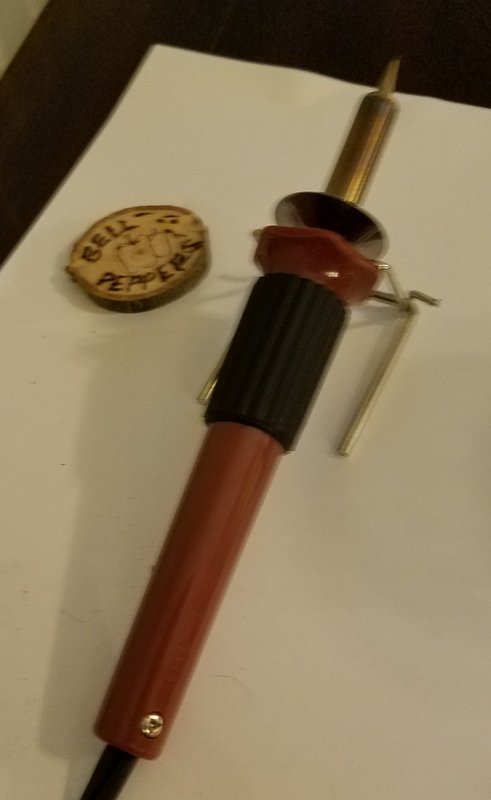 I’ve had that thing for-ev-er and the only person who has ever used it was my husband so I figured it couldn’t be too hard. Boy was I wrong! I tried the first one, took me probably a half hour and I didn’t even get halfway through! 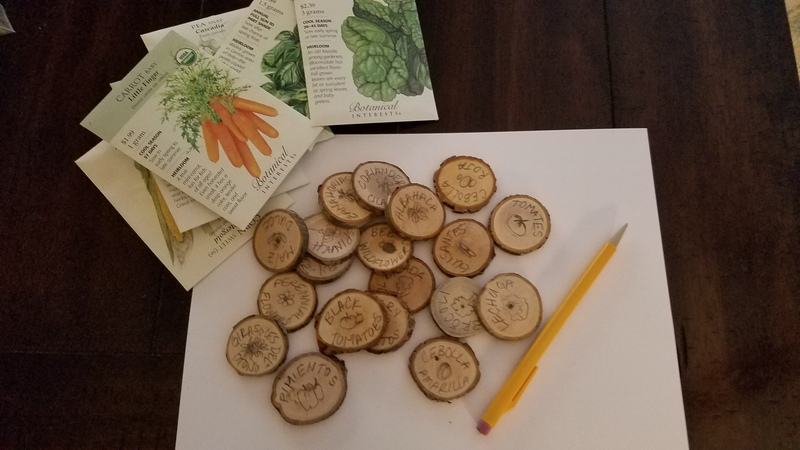 As I looked at our list of plants I knew that I had been way overly ambitious…. So I switched to plan B. 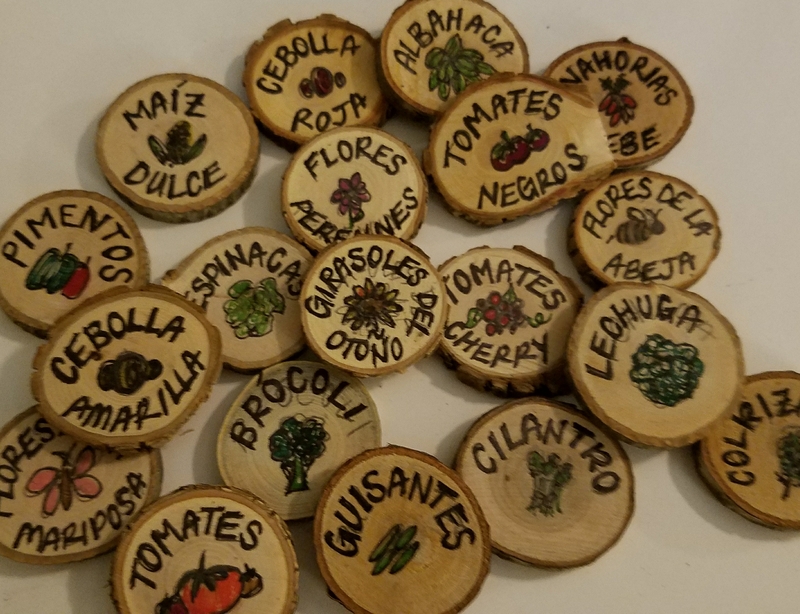 This method was so much faster, I even decided I would go a step further and put the names on the back in Spanish, I thought this would be a fun way to brush up on my skills and teach our daughter some new words. Living out here in Colorado, Spanish is definitely a fantastic asset! After I finished up I erased the remaining pencil marks and called it a night! I cannot wait to put these cute labels outside!! !